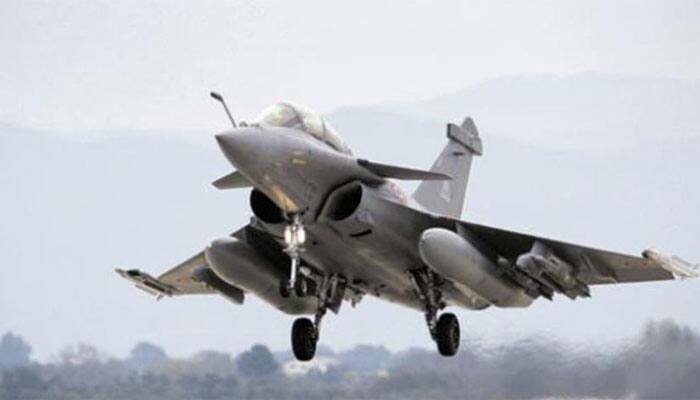 The Supreme Court on Thursday resumed hearing petitions seeking a review of the judgement passed in connection with the Rafale deal by the apex court in December last year. The Supreme Court on Thursday resumed hearing petitions seeking a review of the judgement passed by the apex court in December last year in which it was said that there was no reason to doubt the decision-making process in Rafale deal. During the hearing, Attorney General KK Venugopal told the court that the government had made a mistake in filing the CAG report. "The first three pages are missing and hence, the Govt also wants to bring those pages on record too," he said. In December, a bunch of petitions alleging that the BJP-led government at the Centre had finalised an overpriced deal for Rafale with French firm Dassault to to help Anil Ambani's company bag an offset contract were dismissed by the SC. The CJI-led bench reserves order on whether it would examine the 'leaked' documents submitted by Prashant Bhushan and others on Rafale deal or not. Arun Shourie thanks A-G and the government and said that by admitting n their affidavit that these are photocopies, the government has proved the genuineness of these documents. Bhushan concludes his argument. Senior Advocate Vikas Singh appears for another petitioner, Vineet Dhanda and said that government cannot claim privilege on these documents. Bhushan read out some orders passed by the apex court in the past in connection with entry registers of Ex-CBI director Ranjit Sinha, showing his meetings with accused in 2G Scam and Coal block. He stressed that it is not necessary to disclose the source when issues are of public interest. Bhushan argued that a detailed report has been filed by the government regarding at least 10 defence purchases and it is untenable on their part to now claim the privilege. Chief Justice of India Ranjan Gogoi asked Bhushan to focus on the preliminary objections, which is related to admissibility of the leaked documents. Prashant Bhushan asks why no FIR was lodged by the Centre when these documents started coming out in public domain. He asked how can the government question leaks when the government itself leaked a document containing notings by the then Defence Minister. Petitioner Prashant Bhushan tells the SC that he doesn't need time to file a reply to the affidavit filed by the government on Wednesday. Advocate Bhushan argues all the documents are already in public domain and Centre cannot claim privilege on these papers. Justice Joseph said that RTI Act brought a revolution and in 2009, the Centre had said file notings can be made available under the RTI. While referring to the claim that RTI Act has over riding effect on Official Secrets Act as per Section 22 and Section 24 RTI Act, the SC said that 'even intelligence and security establishments are bound to give info about corruption and human rights violations.' A-G responded saying that security of state supersedes everything. Responding to A-G's plea, the SC said, "What privilege do you (Attorney General) claim? They have already produced them in court." The A-G claims that petitioners have produced the papers after stealing them and state documents can't be published without explicit permission. Attorney General KK Venugopal urges the SC to pass an order directing the removal of the leaked pages from the review petitions as the government claims privilege over these documents, ANI reported. Attorney General KK Venugopal told the SC that the government has made a mistake in filing the CAG report on Rafale deal. "The first three pages are missing and hence, the Govt also wants to bring those pages on record too," he said. The Centre on Wednesday filed an affidavit in the SC telling that documents filed by the petitioners are "sensitive to national security" and those who were involved in photocopying the papers have committed theft.